Michael E. Ruane, “Unsealed 75 years after the Battle of Midway: New details of an alarming WWII press leak,” Washington Post, June 5, 2017. Washington, D.C., October 25, 2017 – The U.S. government's most significant prosecution of an American media outlet prior to the Pentagon Papers fell through during World War II when a grand jury refused to indict the Chicago Tribune in 1942 for an article stating the U.S. Navy had advance knowledge of Japanese plans to attack Midway Island in June of that year. Documents posted today by the George Washington University-based National Security Archive detail FBI, Justice Department, and Navy efforts to charge the Tribune with damaging national security by indirectly alluding to U.S. penetration of Japan’s naval codes – one of the most sensitive secrets of the day. But federal prosecutors dropped the case after senior officials expressed doubts about whether the Tribune and its correspondent knowingly acted improperly and after Navy brass chose not to allow public testimony for fear of increasing the chances Japan would realize its codes had been compromised. 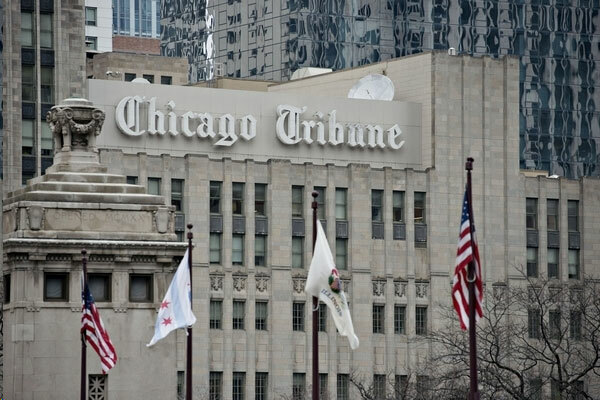 The Tribune case was the first time the U.S. government tried to pursue charges against a major media source under the Espionage Act for publishing classified information – making it of particular interest in the current political environment. Today’s posting draws on grand jury records that had been sealed for decades until historian Elliot Carlson, joined by the Reporters Committee on Freedom of the Press, the National Security Archive, and other historians’ organizations, filed a lawsuit for their release. A court ruled in favor of the suit on June 10, 2015, but the government appealed, sending the case to the U.S. Seventh Circuit Court of Appeals, which decided 2-1 on September 15, 2016, to unseal the files. They are now available to researchers at the National Archives and Records Administration in College Park, Maryland. This is the latest in a series of judicial decisions to open grand jury records of historical importance, including from the investigations of Alger Hiss and Julius Rosenberg. The records contained here are among the most substantive relating to the case. They feature communications from or to FBI Director J. Edgar Hoover, Attorney General Francis Biddle, federal prosecutors, U.S. Navy officers, and others; as well as grand jury testimony and other evidence. Today we hear many assertions that information must be kept secret in order to safeguard the national security. These appeals are never more justified than in wartime. One of the central examples of this kind of security dilemma is our subject here. Its records have been shrouded in secrecy for decades, until a legal case fought by the Reporters’ Committee for Freedom of the Press brought them to light. The case concerns World War II, when a combination of technological advances and breakthroughs in mathematical analysis developed the art of codebreaking to a very high level. One result of this was that the United States broke (the technical term is “penetrated”) a variety of Japanese code and encryption systems, including both the Japanese diplomatic codes (the U.S. called them “Purple” and “Red”) and their main fleet code (which the U.S. termed JN-25). The continued utility of these penetrations depended on Japan not discovering the leaks, and not changing their codes. This made the Chicago Tribune affair a high-stakes national security matter from the beginning. 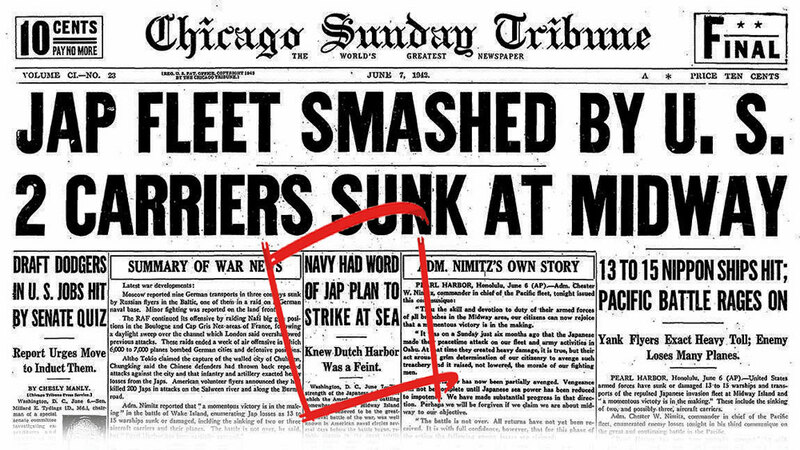 Briefly, the alleged leak took place on June 7, 1942, just after the end of the Battle of Midway, when the Tribune published an article in its Sunday edition, “Jap Fleet Smashed By U.S., 2 Carriers Sunk at Midway,” with an attention-grabbing side article, “Navy Had Word of Jap Plan to Strike at Sea.” Not all the details in these articles were accurate – the Japanese fleet had lost four aircraft carriers, not two (Akagi, Kaga, Hiryu, Soryu) – but the Tribune had had all the warships’ names at a time when no one else did. The Chicago newspaper had also described the disposition of other enemy fleet detachments with precision. As the Navy and the Franklin D. Roosevelt administration privately knew, the details the Tribune had corresponded to a top secret dispatch the U.S. Pacific Fleet commander, Admiral Chester W. Nimitz, had sent on May 31 (Document 3). That radio message, distilled from Japanese naval communications, described the organization of the enemy fleet and its purpose in attacking Midway. It had been the product of a radio intelligence unit at Pearl Harbor known as Station Hypo. Experts at the Office of Naval Intelligence were quickly able to show the correlation between the Nimitz dispatch and the Tribune article (Document 4). There were other equally disturbing elements in the news story: it attributed the knowledge to “naval intelligence” and sourced it to Washington, almost directly implicating the Navy’s codebreaking operation; and it referred to advance knowledge, which suggested this even more. On July 9, Navy Secretary Knox and Attorney General Francis Biddle met with President Roosevelt (FDR) at the White House. By that time the Navy had a clearer idea of what had happened. A Chicago Tribune war correspondent who had survived the sinking of the aircraft carrier Lexington during the May 1942 Battle of the Coral Sea had been among the survivors carried back to the United States on board the Navy transport Barnett. While on that ship the reporter, Stanley Johnston, had had access to Navy radio messages. Among these was the Nimitz dispatch noted above. Navy analysis (Document 4) demonstrated that even the mistakes in the admiral’s message were replicated by the Chicago Tribune article, proving the relationship between the two. By June 9, Secretary Knox had data from a preliminary inquiry by the Barnett’s captain that showed that survivors of the Lexington had been helping his own radiomen, and had very likely handled the Nimitz message (Documents 21 and 22). FDR and Knox wanted action. That same day at the Navy Department, Stanley Johnston arrived from Chicago to give a statement to senior officers, including Admiral King’s chief of staff as well as the director of naval intelligence. According to the Navy’s record (Document 8), reporter Johnston recounted that he had overheard naval officers aboard the Barnett discussing the contents of the Nimitz message, including the identities of warships named there. At first Johnston stuck to that version, but he returned in the afternoon to tell some of the officers who had listened to him earlier that the identities of Japanese ships had actually come from a note listing them he had found on the table when swiftly packing to leave the ship at San Diego. By June 11, when Admiral King’s office established that Johnston had been accredited as a war correspondent by the Navy at Pearl Harbor, the broad outlines of the Chicago Tribune case had been determined. Perceived as a miscreant, Johnston was subjected to significantly intrusive investigation (Documents 11, 12, 13). Unfortunately for the Navy, its initial sense of clarity eroded steadily. An FBI report uncovering very derogatory material alleged to be from Dutch and British sources (Document 11) was cancelled out because U.S. military and naval intelligence, and the FBI itself, had all checked out Johnston when he had been under consideration as a war correspondent, and all had passed him. In addition the reporter had behaved heroically at the Battle of the Coral Sea, helping rescue seamen of the Lexington, to the extent that the ship’s captain recommended Johnston, a civilian, for a medal. Next it turned out that “accreditation” did not mean what authorities at first supposed. Johnston had been given his credentials in a rush because the Lexington was about to sail from Pearl Harbor. His signed agreement contained no stipulation of responsibility to submit all writings for censorship because Washington’s directive to enforce that stricture had yet to arrive in Hawaii. With Johnston there had been only oral exchanges. Furthermore, the General Code for censorship contained no prohibition against mentioning enemy warships, which is what Johnston’s Chicago Tribune story had done (Documents 14, 15, 17). The Tribune editor who had handled the Midway story relied upon the differences between his material and the General Code to satisfy himself that the article required no special censorship. 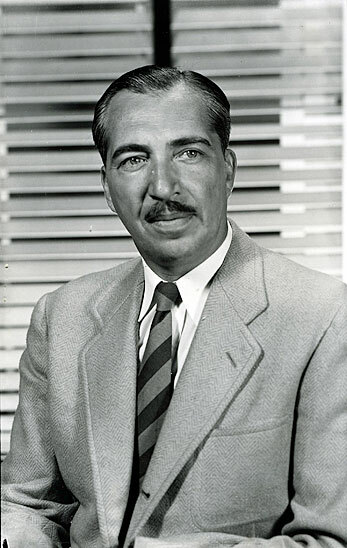 The editor, Loy “Pat” Maloney, had added the reference to naval intelligence and the Washington location to the story, which Johnston had actually written from Chicago. Another problematic aspect of the case is that the Navy was partially at fault too. Captain Frederick Sherman of the Lexington had kept his restrictions on the correspondent simple. Sherman’s executive officer, Commander Morton I. Seligman, had gotten even more friendly with Johnston than his captain. There were also the arrangements for handling communications while aboard the Barnett. A board of inquiry held at San Diego on June 11 (Document 20) showed there was evidence to back Johnston’s account of how he had obtained his secret knowledge. Chicago Tribune publisher Robert R. McCormick had kept his newspaper on a conservative bent, opposed to FDR’s administration, but here he tried to fend off controversy, sending Johnston and Maloney to Washington to give statements, following with a telegram to Admiral King promising cooperation and declaring he had not seen the Midway story until it was out (Document 6). McCormick was right to be concerned—his newspaper had already published scoops against FDR, including one on U.S. war plans (“Plan Dog”) on the eve of Pearl Harbor, that the government had sorely wanted to prosecute (Document 10). At the Justice Department, Attorney General Biddle assigned an experienced lawyer, William J. Mitchell, to be prosecutor. Surveying elements of the case, Mitchell quickly perceived its weaknesses. For one, the case concerned a subject the public would hardly understand—the problems surrounding censorship and accreditation. For another, there were defects in the Espionage Act that would complicate obtaining a conviction. These included the problem of showing that defendants had specific intent to harm the United States and the focus of the law’s language on turning over a document or object rather than the information itself (Document 18 and 19). Mitchell’s analysis led Biddle to order even more detailed investigations in an effort to establish a detailed chain of “custody,” as it were, of the information in the Nimitz dispatch. On June 26 Biddle met with Secretary Knox, who upon returning to the Navy Department first learned of the military and naval intelligence approval of credentials for Johnson (Document 32). The FBI carried out an aggressive, multifaceted inquiry into the handling of the Nimitz dispatch and other information—for example, Johnston’s possession of a set of pictures of the damaged Lexington that had been taken by a photographer aboard the cruiser Minneapolis became another focus. The FBI developed a considerable amount of information along the lines that Prosecutor Mitchell (Document 19) had wanted (Documents 24-33). The procedures used to handle messages aboard the Barnett were re-confirmed. Several officers who had survived the Lexington sinking and knew Johnston affirmed they had seen notes that contained the identities of Japanese warships grouped in an order-of-battle style. Repeated questioning also showed weaknesses in Commander Morton Seligman’s account. Where he had maintained that there were no notes and no conversations about Japanese forces off Midway, Seligman later came around to a version that he “might have” made notes or read from cables in a situation where Johnston could have overheard him (Documents 29 and 30). Seligman would later repeat this version in his grand jury testimony (Document 38). On the other hand, Seligman had been a hero of the Battle of the Coral Sea, helping to keep the Lexington afloat, for which he won the Navy Cross. He had been blown out of a scupper as the ship sank and sustained back injuries and a concussion. At this stage the Justice Department faced making a final decision on what to do with the Chicago Tribune affair. In mid-July Prosecutor Mitchell wrote a memorandum for the record (Document 35) expressing doubts about obtaining convictions in possible cases due to defects in the statutes under which crimes had to be charged, and a report to Biddle and Knox in which he analyzed the prospects (Document 36). He reiterated the legal obstacles to trials, and he added a number of practical or political reasons why proceeding would not be wise. On July 27 Assistant Attorney General Wendell Berge concurred—the legal grounds were too “tenuous” and the chances the public would misunderstand too great (Document 37). Attorney General Biddle had another meeting with FDR on July 16. Secretary Knox also held to his position that the government should prosecute. The Department of Justice decided to narrow its charges, dropping the espionage count against the reporter, but pursuing the Chicago Tribune for not submitting the material to censorship. On August 7 Biddle held a press conference at which he declared a grand jury would be convened in Chicago to hear evidence. Today’s posting reproduces a synopsis of the testimony of Commander Seligman (Document 38) and the full statement of Stanley Johnston (Document 39). Seligman held to his ambiguous “might have” version of events. Johnston articulated the same story he had given the Navy in early June. Despite the position of Secretary Knox, Admiral King refused to permit testimony by any naval intelligence figures, so jurors never learned of that aspect of the case. They were confronted with a simple charge that someone had utilized secret information, but without a clear case under the Espionage Act, and in a situation where the Navy itself seemed to have enabled that result by mishandling the information and not clearly restricting the war correspondent. The grand jury refused to indict anyone in the Chicago Tribune case. Senior government officials from President Roosevelt on down exhibited no concern for Freedom of the Press or First Amendment issues throughout the Chicago Tribune Midway affair. They acted entirely on the basis of the alleged threat to the security of the Navy codebreaking operation. At the same time they had little idea of the actual dimension of the threat of disclosure. The FBI assembled a detailed analysis of the status of Japanese diplomats, officials, and businessmen in the United States at the time of Pearl Harbor, where they had been held, and what access they had had to media before leaving the U.S. on June 18 (Document 40). The report demonstrated there was some, but very limited, potential access by Japanese persons to media where they might have read of the government’s pursuit of the Chicago Tribune and the reason for it. 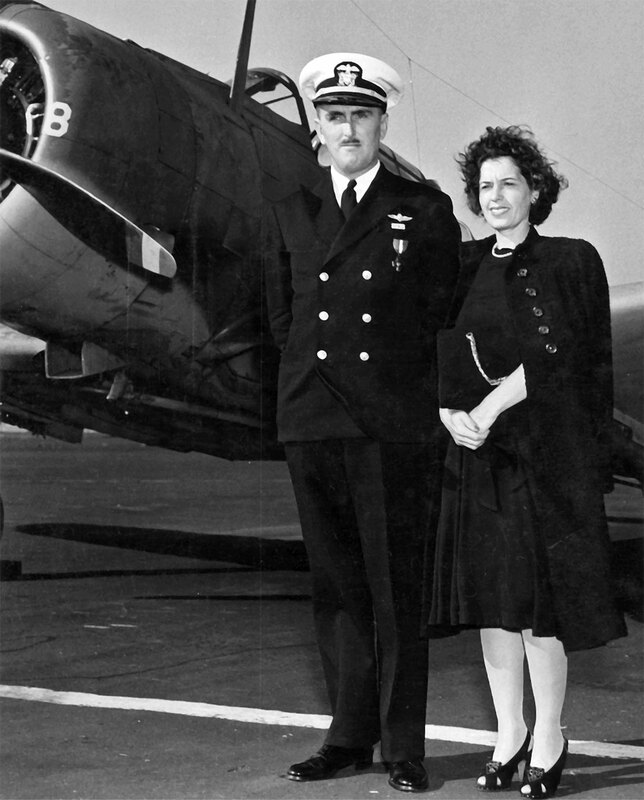 Admiral King’s reluctance to provide expert witnesses was based on an expectation that a trial, with attendant news coverage extending the period the Midway leak would be before the public, enhanced Japan’s chances of discovering its codes had been compromised. King’s refusal set the stage for the Midway grand jury. Ironically, in the Chicago Tribune case it was the public itself that protected the First Amendment by refusing to indict. “JAP FLEET . . .” and “NAVY HAD WORD OF JAP PLAN” both from Chicago Tribune, June 7, 1942, p. 1 & 8. For much more on Station Hypo, the Office of Naval Intelligence, and even Japanese intelligence, see John Prados, Combined Fleet Decoded: The Secret History of American Intelligence and the Japanese Navy in World War II. New York: Random House, 1995, passim. This knowledge is reflected in the statements of Document 1. The record of what happened at this meeting is hearsay, recorded by Chicago Tribune staff members based on conversations with Justice Department officials. See Elliot Carlson, Stanley Johnston’s Blunder. Annapolis: Naval Institute Press, 2017, p. 155.